Cyberattacks are increasing in number and severity. Regulatory requirements continue to evolve. You and your organization can’t predict the future, but you can be ready for it. A defense-in-depth approach to secondary data and application security delivers the safeguards your modern business needs to prevent data loss and ensure smooth business continuity. By converging secondary data and applications onto software-defined platform, Cohesity strengthens data security, mitigates the negative impacts of ransomware attacks, and streamlines time-consuming compliance tasks. 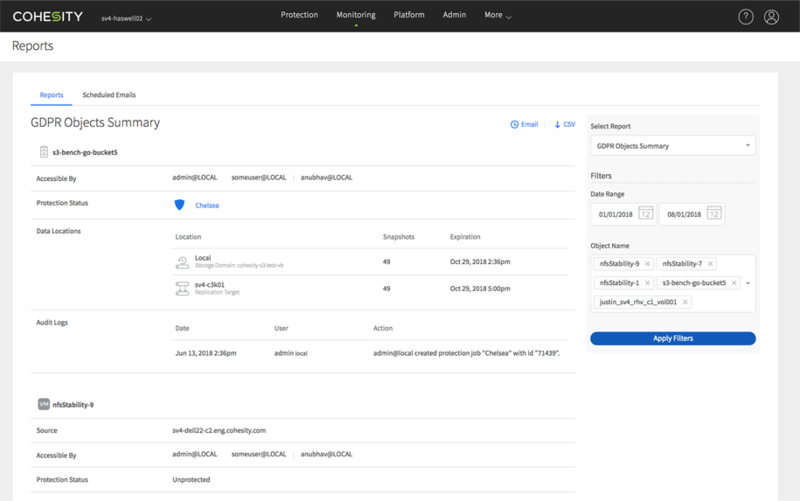 Cohesity’s unified, web-scale secondary data platform reduces attack surfaces. It makes always protected backups—on-premises and in the public cloud—available and near instantly recoverable to any point in time. Future-proof your environment to be prepared for when, not if, bad actors and cyber criminals will target your data. 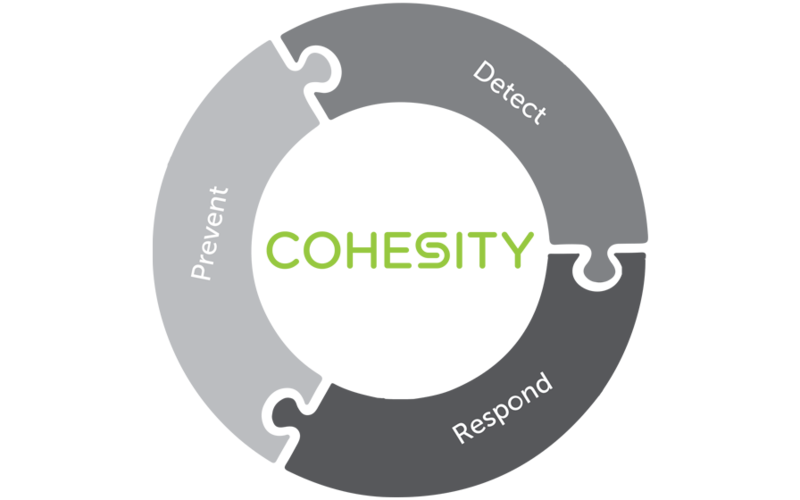 Cohesity unifies operations and saves you time with a single platform simplifying and strengthening data safeguards through multi-factor authentication, role-based access, authorization, encryption and, data isolation. Cohesity defends your data and apps with a multi-layered, end-to-end solution that prevents, detects and responds fast to ransomware attacks. Prevent your backup from becoming a target. Detect potential attacks. If the worst happens, ensure rapid response through corrective action at-scale. Cohesity eases compliance audits and tasks while keeping your business agile. Reduce IT burdens around how to best protect, minimize, locate, search, and monitor secondary data and apps to meet requirements such as GDPR. Our organization has experienced two attempted ransomware attacks that have been resolved with limited downtime and expense using Cohesity DataProtect. Both incidents involved SharePoint mapped drives that were CryptoLocked and required restoration of the entire database using the previous Cohesity backup and instantly resolved the issue at no additional cost. Several of our customers have had to deal with ransomware attacks and Cohesity has been vital in helping them avoid substantial downtime or payments to restore their data. Cohesity’s comprehensive solution offering prevention, detection, and response ensures that enterprises have what they need to overcome increasingly sophisticated ransomware attacks and keep focused on running their business. Arnoud Kamphuis, Infrastructure Engineer, Fundaments B.V. Need to Strengthen Your Data Security?